John Albert Garfield Thomas, 90, of Biscoe, Arkansas born November 9, 1927 passed into the arms of Jesus on Wednesday, May 9, 2018. He graduated from De Valls Buff High School. 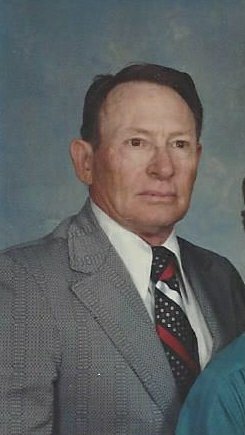 He served as an engineer in the U.S. Army during World War II helping to rebuild Japan. John worked for the Union Pacific Railroad in Kansas City, Missouri for 18 years. Following his time serving the railroad, he followed his passion and returned to Biscoe to pursue a career in farming. He was preceded in death by his wife of fifty years, Emogene Rogers Thomas. He is survived by three children, Linda Thomas Colton (James) of Hot Springs, Arkansas, Rebecca Thomas Clemons (Doug) of Stuttgart, Arkansas and Ricky Thomas (Shannon) of Biscoe, Arkansas, seven grandchildren and 11 great-grandchildren. Funeral service will be 12:00 P.M. Saturday, at the Westbrook Funeral Home Chapel in Hazen with visitation at 11:00 A.M. prior to the service. Burial will follow at the Hazen Cemetery.